The wealthy philanthropist Stephen Girard bequeathed his South Philadelphia estate to City of Philadelphia in 1831, with the stipulation that it not be sold. The Board of City Trusts, trustee of the Girard Estate, developed 481 rental homes, most of which were built between 1906 and 1916, in a range of architectural styles. The city of Philadelphia then rented these homes to the middle-class population. With its own power plant, local Free Library, and proprietary trash collecting system, the Estate was truly a planned community. The homes were rented until 1950, when the city received permission to sell them. This image shows the cover of a ca. 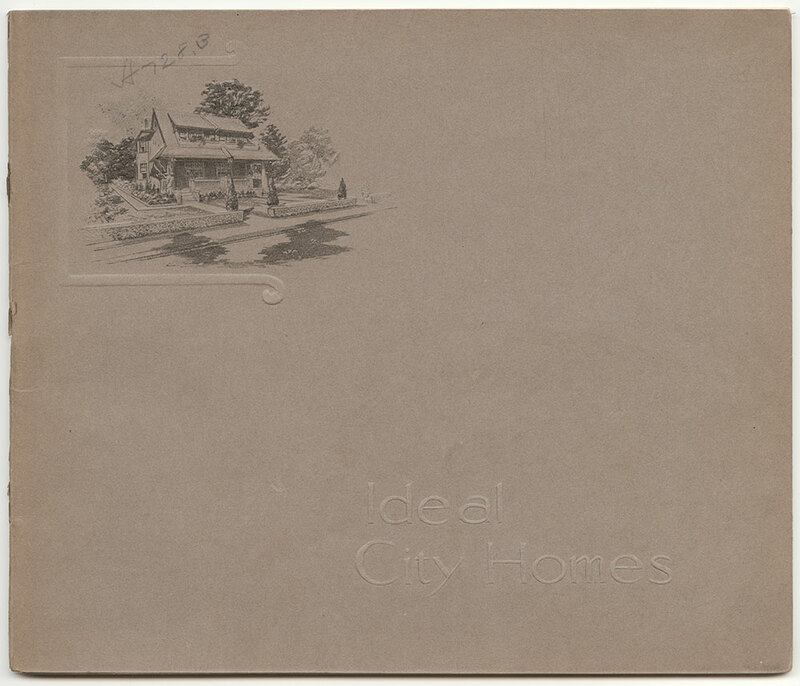 1912 advertising pamphlet for the Girard Estate homes, containing 36 pages of photographs, floorplans, and detailed information about the rental properties.